When Will the iTunes Error 4280 Occur? iTunes Error 4280 sometimes occurs when you are trying to burn a CD via iTunes. The error can be very persistent and therefore quite annoying as it tends to appear every time you try to restart and burn a CD. Fortunately, there are some solutions available that you can try in order to solve the problem. There could be a number of causes behind this error. Mostly, it occurs due to the wrong speed of burning in iTunes. However, it could also be incompatibility of the CD burner and your computer. Corrupted download or incomplete installation of iTunes. Drivers have been corrupted or there are invalid entries (iTunes-related) in the registry. Virus/malware attack has corrupted or damaged iTunes-related program files or Windows system files. Mistakenly or maliciously deleted iTunes-related files. 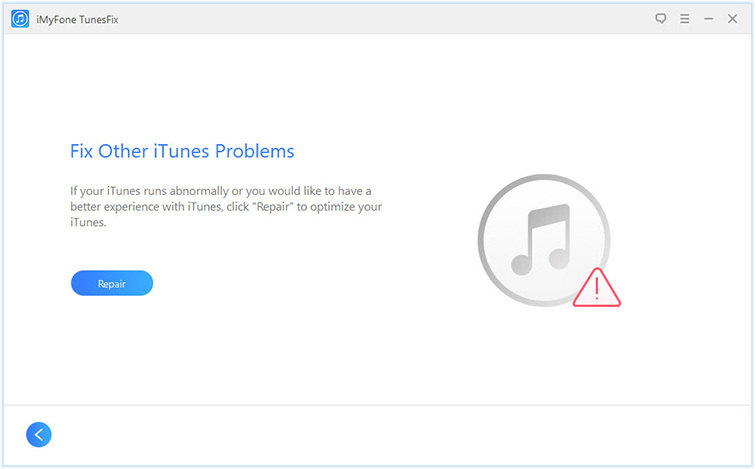 Improper or failed uninstallation of iTunes can also lead to this issue. 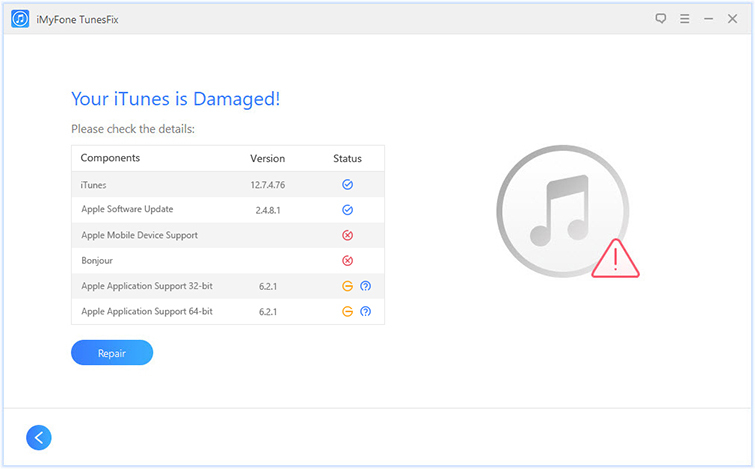 One of the best and the easiest ways to fix iTunes error 4280 and other similar iTunes issues is to use a reliable iTunes repairing tool. iMyFone TunesFix is one such tool you can rely on in this regard. TunesFix is equipped with many features and it can repair different kinds of iTunes issues quickly and efficiently. It is likely that the error 4280 will be detected via automatic scanning feature of TunesFix. And if you cannot fix the error via the automatic scan, then you can always give its manual repair modes a try. All in all, it is highly likely that you will be able to solve the problem quickly and easily via this software. Repair any kind of iTunes error or issue via one-click solutions. TunesFix is capable of repairing 100+ iTunes issues. Scan for iTunes errors automatically upon launch. Several advanced but easy to use manual iTunes repairing modes. Uninstall iTunes and all its related components with one click via Full Uninstall mode. Boost iTunes’ performance by cleaning junk and temporary files related to the software. Step 1: Download, install, and launch TunesFix on your PC. Step 2: Upon launch, the software will start scanning for iTunes issues automatically. Once the scanning is completed, fix the detected issues via the Repair button. Step 3: If the problem is not solved, then click on ‘Fix Other iTunes Problems’ mode from the main interface of TunesFix. Step 4: Now click the Repair button. TunesFix will start the repairing process. One of the first things you should do when you face error 4280 is update iTunes. iTunes updates bring bug fixes that are often sufficient to fix various errors. Updating iTunes is very easy and does not take a lot of time, that’s why it is recommended that you update the software as it might solve your problem and save you a lot of time and hassle looking for other solutions. Step 1: Open iTunes on your PC. Step 2: Now click Help and then click on Check for Updates option. Step 3: If an update is available, follow the on-screen instructions to update the software. If you are using a CD drive manufactured by Sony and facing error 4280, then there is a specific solution to fix this. You will need to make a small change in a configuration file to fix the error. Step 1: First you need to find out whether you have a Sony CD drive. To do this, launch iTunes and navigate to Help > Run CD Diagnostics. Step 2: Now put an audio CD in the optical drive of your computer and click OK. Step 3: After that, look for this text: IDE\CdRomSONY_CDRW/DVD_CRX830E. You have a Sony CD drive if this text is shown. Step 4: Now close iTunes and navigate to Program Files\iTunes\CD Configuration and find the gcdrtype.cfg file. Step 5: Right-click on that file and click Open. Step 6: Once it is opened in Notepad, scroll to the last section of the text and add | NOSENDOPC at the end of the line that begins with DRVGENERALFLAGS. Click Save afterwards. The error should be fixed now. If none of the above-mentioned solutions work, then it is recommended that you uninstall iTunes completely and then reinstall it. Step 1: Quit iTunes and open Control Panel. Then navigate to Program > Program and Features. Step 2: Now uninstall iTunes as well as its related components. 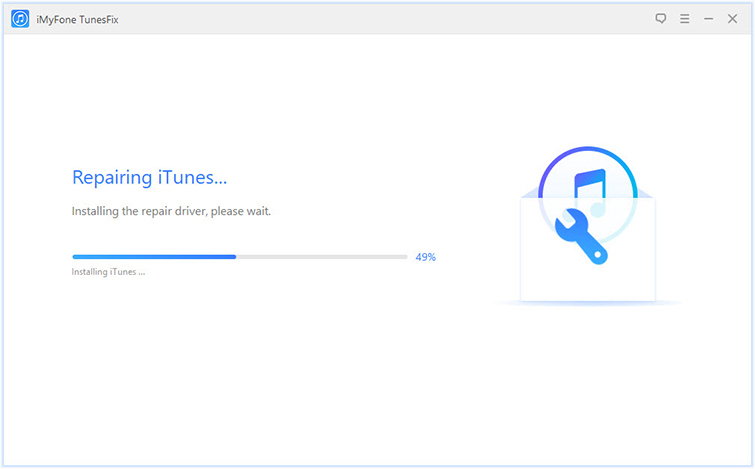 Step 3: Next, download the latest version of iTunes and install it by following the on-screen instructions.